It is responsible for 48 miles of sanitary sewer main and 63 miles of municipal streets, alleys, right-of-ways, and sidewalks, a fleet of 60 vehicles and pieces of equipment, and five facilities and their associated grounds, and five public areas. 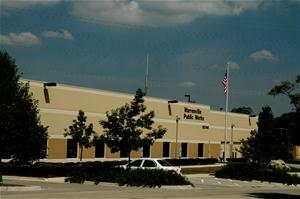 The Department operates out of the Public Works Facility located at 3S346 Mignin Drive. Administration for the Department is located at City Hall. Residents needing service on public property, such as repairing a streetlight, filling a pothole, trimming a parkway tree, replacing damaged sidewalk, etc. can make a service request by contacting the Community Development Department at (630) 393-9050. Emergency service, such as a water main break, should be immediately directed to the Department via phone at (630) 393-9050. Hours of operation are Monday through Friday from 7:00 a.m. to 3:30 p.m. For emergencies after hours, contact the Police Department at (630) 393-2131 or dial 911.